This ebook is licensed for your personal enjoyment only. This ebook may not be re-sold or given away to other people. If you would like to share this book with another person, please purchase an additional copy for each person you share it with. If you’re reading this book and did not purchase it, or it was not purchased for your use only, then you should return to your favorite ebook store and purchase your own copy. Thank you for respecting the hard work of this author. All names and events are the creation of the author and are of a fictional nature. Any similarities are purely coincidental. So many people have supported me in this journey. I dedicate this book to my husband Paul, who believes in me and helps me live my dream. The young girl bolted awake from the horrible dream. She could still feel the dark, cold water filling her lungs with brine as she had dreamed of plunging ever deeper into the frigid depths of the sea; sinking further from the surface as the splinters of light grew dimmer. She was being pulled under with the ship. She cried out as the night terror failed to evaporate from her mind. She scanned the room and tried to still the frantic thudding of her heart sensing the eerie shapes which hid in the shadows cast by the sliver of moonlight that breached the bedchamber. She gulped air into her heaving lungs, desperately trying to put the horror of the dream behind her; desperately trying to breathe. Finally pulling the confining bed linens from her petite form, she scuttled from the bed and flung the door to her room open wide. It crashed on its hinges with a loud bang. She did not think about the sound causing anyone to wake. A merman! Yes, that must be what he was, but as she watched him pulling her to the surface, she remembered mermen did not have legs. It was said they had tails like fish. This one had legs to be certain, for even in her dream, she could see the strength of his thighs as he propelled them further toward the surface. His hand was like a vice as it had tightened around her delicate child’s wrist. She did not want to go with him. She could not leave her parents to drown. She struggled briefly in the blond creature’s grasp but he gave her a stern look, which did not mar the beauty in his face and she ceased her struggle. As they breached the surface, she gulped cleansing breaths of salty air. She woke, then. The man who had saved her was gone, but the dread remained. And then she knew. But the girl only cried harder. He hushed her and held her until the wrenching sobs quieted. Stroking down her tousled hair, he smoothed down her sleep-messed tresses. “No,” she insisted. “They have drowned. I saw them. I felt it. It was as if I was drowning, too. I tasted the water in my throat and nose. I felt the darkness pulling me to the bottom of the sea. They are gone, Randall…they are gone,” she cried, burying her tear-stained face into her brother’s neck. For the first time, Randall du Montefort knew what it meant to be afraid. His sister was not prone to hysterics. She was so much like his mother, who had fostered the Gifts of those who had gone before. Some called it the Sight and as sure as Randall’s mother had that gift, he had known for quite some time that his sister was granted the same. Cold dread filled his heart. He knew that Rhianna had not just had a random nightmare. No. She had born witness to the tragic passing of both their parents, he was certain. along with his beloved mother, who had been lost at sea. 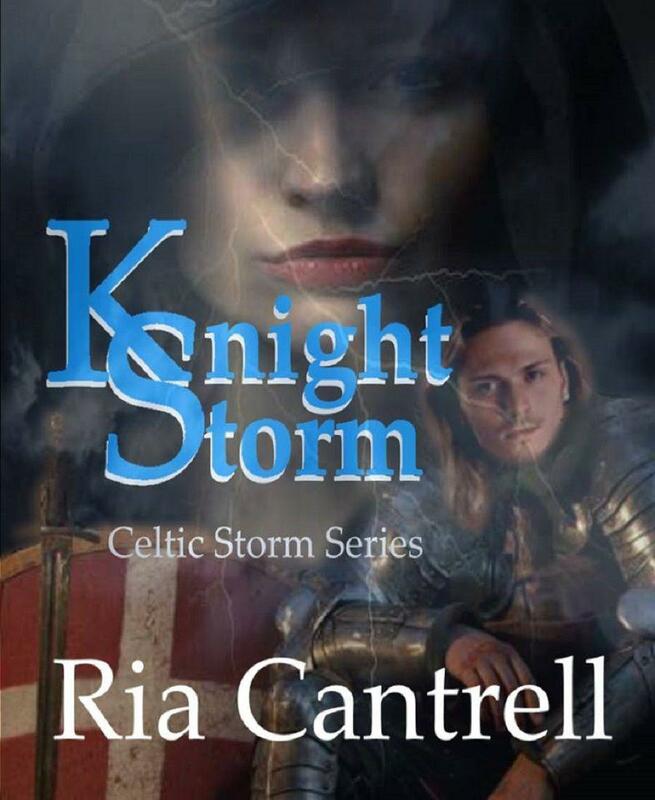 Rhianna du Montefort steeled herself against the chill as the cold wind buffeted her from her perch on the castle battlements. A storm was brewing; one that was not necessarily akin with the weather. She could feel it. She could always feel it. She hated storms. All the warnings she always felt when danger was afoot sounded the alarm deep in that place she had grown to know so well. …She heard the talk that sometimes the town folk whispered behind her back. When she helped the sick or injured, she was revered for her craft as a healer. More often than not, the villagers sought her out to aid them in their sufferings. They had grown to rely on her skill with the herbs and tinctures when some maladies besot them. Rhianna tried to turn a deaf ear to those who spoke out of spite or grief. Sometimes, all her skill with the herbs could not aid in an illness. Those were the times that people were prone to cast hurtful words and names she did not take to heart. At least, she told herself she did not take it to heart. For even though she knew that grief was the cause of their barbs, the words cut her as sure as any dagger could. Long had she learned some of the Ancient Arts, which she supposed were fostered by the Celtic people of her mother’s homeland. From an early age, Rhianna could remember her mother, Ceridwyn, teaching her the important properties of plants and herbs. As Rhianna pulled her cloak tighter against the rising wind, her mind wandered to those precious lessons which now lived only as memories in her heart. Rhianna’s parents were both killed during a squall at sea. They had journeyed to the coast of Wales one last time because Rhianna’s mother had never gotten over her homesickness of the land of her birth. Her father loved her mother devotedly and when she had come down with the wasting sickness, he vowed to bring her home so she could heal and get well. Gregory du Montefort would do anything for the woman of his heart; even if it meant taking a perilous journey by ship during Martinmas, when seafaring was the most precarious. The tempest had come out of nowhere, it was said, and the ship was lost just outside of their destination. Rhianna remembered waking in the dead of night, that night so long ago, feeling like she had been drowning. At that moment, she knew, even long before the missive came to report the devastating loss, that both her parents had perished with all the others on the ship. Besides healing, Rhianna had the Sight. Her mother had told her it was a gift from her ancient heritage. At times like these, when the winds of change blew, Rhianna thought of it less as a gift and more a curse. She pondered it then, while standing upon the ramparts of the castle watch. Rhianna felt that dread and foreboding again this very night. Rhianna’s brother Randall had been missing for three months now. He had left to do the king’s bidding and he had been called to fight in some needed campaign. There was always some needed campaign of some sort with this monarch, it seemed. King Edward was voracious in his quest for power. Rhianna kept herself far from the reaches of the king in her isolated and insulated demesne. Still, his grasp extended to her protected world all too recently as Randall was pressed into service for one of the king’s many misguided causes. Rhianna shouted that thought within her mind, else she would have felt the loss as sure as she had felt the loss of her beloved parents some fifteen years past. She had only been a girl of eight then, and so much had happened since that fateful day. Rhianna and Randall maintained the small keep and outlying village with the help of their father’s loyal serfs and soldiers. Randall had barely been a man when he had been thrust into the position of Lord of du Montefort holdings. Rhianna’s heart swelled with pride at the way he had risen to the task. While they both faced many challenges daily, somehow they maintained prosperity and peace within their lands and adjoining villages. Yes, there were those who sought to take what was rightfully theirs, but Rhianna did not give in to such worrisome things. Instead, she set to the work of being Lady of the Keep and the Healer of her people. Andarra watched the young woman who was lost in thought. The girl had been her charge by rote since the Lord and Lady had perished all those years ago. Andarra had come from Scotland to marry an English knight and had remained within these walls ever since. She was proud of the woman the orphaned girl had become. Though Rhianna no longer needed her guidance, Andarra still hovered like a mother hen over the girl. She had inherited the care and guidance of the child as Chatelaine of the keep. At the time, it seemed like a daunting task, but as the years passed, she had grown to love the girl like a daughter of her own. She had never been blessed with a child, so the raising of Rhianna du Montefort filled that void in her heart.